The HyperJuice is an AirPods wireless charger that, unlike Apple's, is available now, not sometime in the future. Conspicuously absent from the Apple event yesterday was the AirPods wireless charger that the company first showed off last year. Well, you don’t have to wait for Apple to get its act together because a third-party accessory maker called Hyper just announced its own solution. HyperJuice is a snap-on adapter to the Apple AirPods Charging Case, allowing it to get power from any Qi wireless charger. 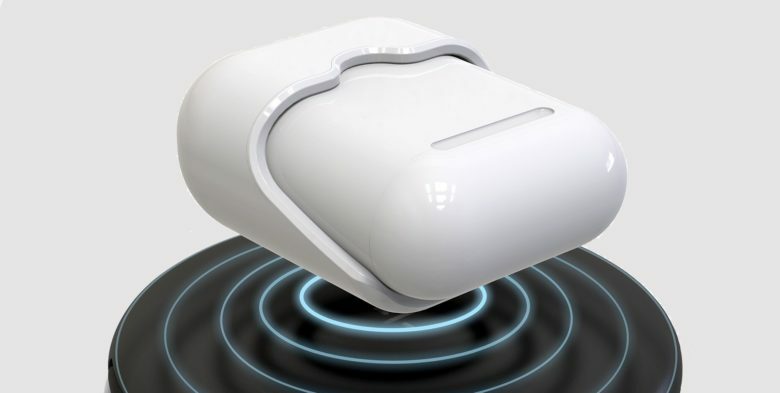 “Our HyperJuice adapter helps to extend the lifespan of the relatively new, existing AirPods Charging Cases by providing the same wireless charging functionality in an elegant design,” said Daniel Chin, founder and CEO of Hyper. This accessory has the same glossy white polycarbonate finish as the Apple AirPods current case. There are LEDs to indicate charging status. Hyper promises that its adapter can fully charge a pair of AirPods in 90 minutes. The HyperJuice Wireless Charger Adapter for Apple AirPods is now available and shipping from HyperShop.com. It costs $49.99.